In the event of the impending zombie apocalypse, you have to have a quality weapon with which to defend yourself. The Zombie Hunter Hatchet is ideal for zombie killing situations, giving you the edge every survivor needs. A durable weapon made from PTFE stainless steel, this hatchet comes equipped with a bottle opener on the back and cutouts on the head to fit hex nuts. Wrapped in a neon green paracord, you will have a comfortable grip as you fight your way through the army of the undead. 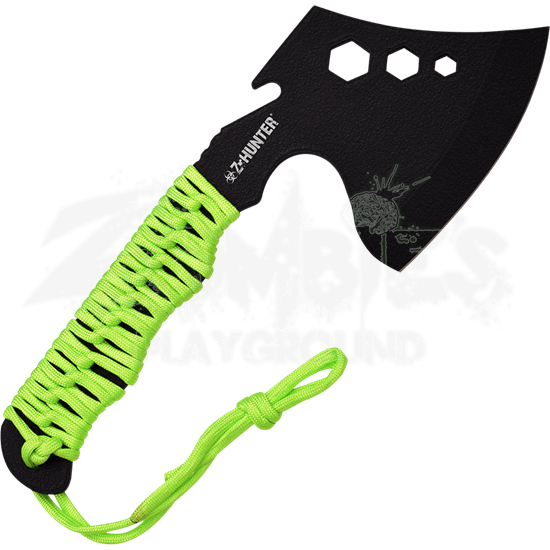 Good for more than just killing zombies, the Zombie Hunter Hatchet is a survival weapon that will suit all of your apocalyptic needs.